Great points nicely made. 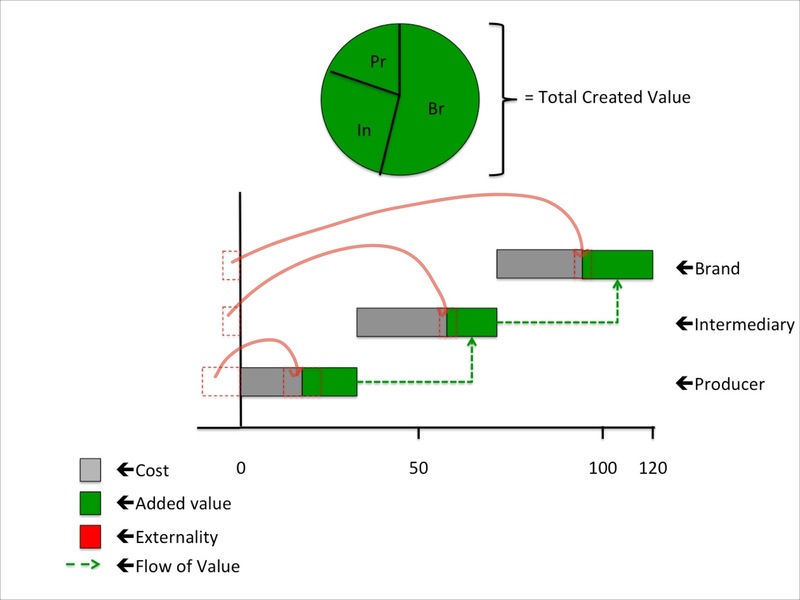 Especially the necesity to increase the overal value created as a starting point. My experience is that this fundamental point is often overlooked. 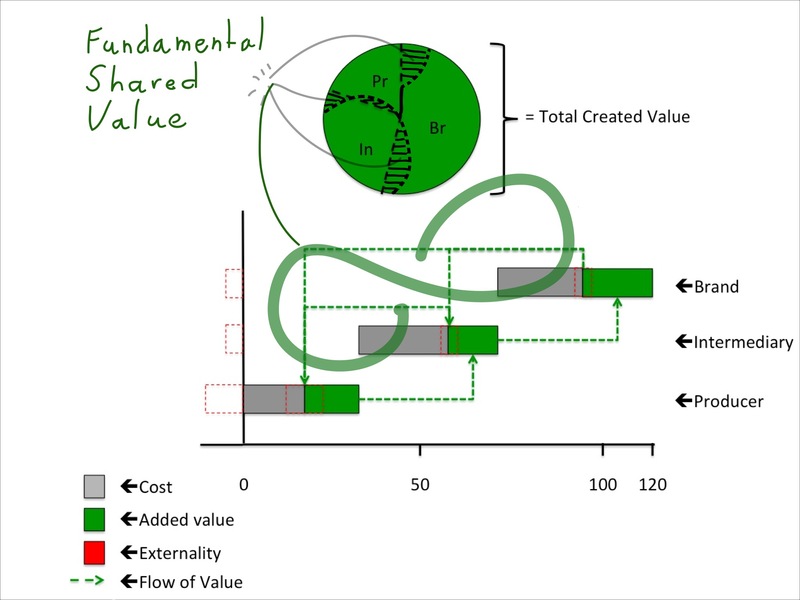 The necesary shift towards a more fundamenatal shared value as presented in the next graph is only possible after the innitial increase in value. An additional observation would be that the internal looks requier a fundamentally different value chain, a more transpartent one with more attention for communication and joint action. Thanks for your comment. To be honest, I’m still a bit unsure if creating a bigger pie is the only way to go. It would seem that, given the current flat innovation landscape, where not much is happening, this would be the way to start. The question is however, whether shared value creation would remain contained in the realm of the upper end of the (larger pie) market, and not work for bulk and commodity markets. How do you think these small pie markets could adopt shared value practices? A bit of a puzzle, because if there is any place we need to change the way we distribute value to deal with externailities, it would be there. WOW you guys, this is THE conversation that needs to be held across business schools worldwide! Bart, you need to get to India and talk at the IIM’s, ISB, XLRI etc. My take on the natural coalition for sharing value is exemplified by Stan Thakereara’s “particpative capitalism”. Consumers -even low end- are the natural allies of producers, and can circumvent the hot air bubble creators of the branding industry. Let’s experiment with collaboration, unleash the creativity that flows from getting people connect to their good intentions and to others in the chain. A fundamental commitment to being the change we want to see is important when navigating murky waters of commerce and interhuman relationships. Funny enough that is a universal truth which helps connect the disconnected in the chain. 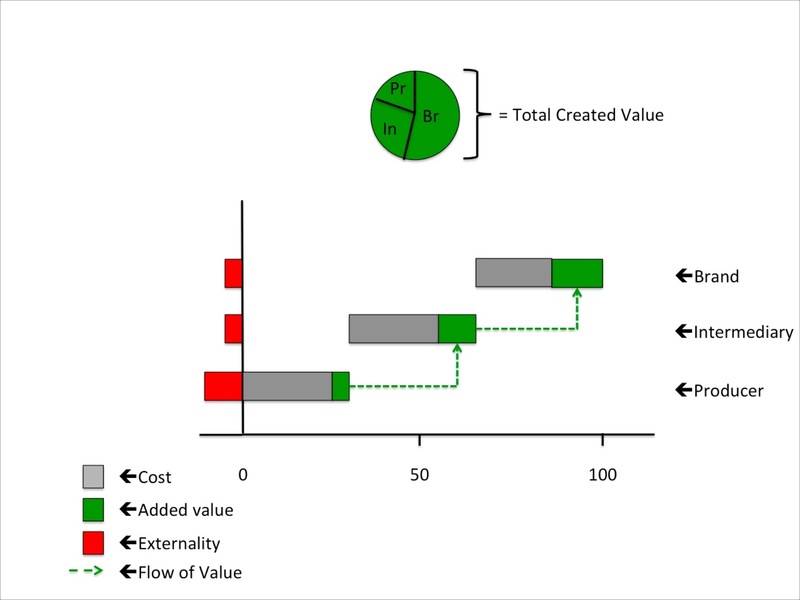 I think that CSV concept is still more ”natural” to capitalism than CSR. Regarding farmers’ yield improvement example, it is true that gains in productivity of early adopters will worsen situation of those farmers who will not be able to increase their yields. This will also create positive spill-overs for downstream stakeholders and especially for retailers but the expectation that everybody should benefit equally is the exaggerated expectation that we make ourselves to stick under the influence of the ”sustainability” and ”smallholder farmer upgrade” concepts. What do you think about causes that led to CSV concept? Are ”sustainability”, ”environment” and CSR are the ”only” couses? You give a good example of Dutch dairy farmers. They have highest productivity but are still struggling to make meaningful profits. Why there is less attention paid to consolidation of retail power as a more ”business” cause of concepts such as CSV? I mean the trend of looking back at farmers (suppliers)? Is it not ( at least ”ALSO”) one of main reasons and particularly reducing ability to influence retail side of the business that is causing every producer and brand to look back and try to discover and use any value creation potential in primary production (farming in case of food business)? I’m no advocate for CSR either. I agree with your point about everybody benefitting equally. This is an ideal. As an alternative I would say that people should be able to capture a great part of the value that they create. Currently this is not the case anymore in agriculture. Farmers are the buffer for the rest of the value chain’s uncertainty. There is no entrepreneurial opportunity in agriculture, opportunity for new forms of value creation, capture and distribution. Youth is leaving the profession. These are all really big problems, which cannot be addressed through means of marginal improvement as CSV. You have a valid point that the retail model needs to be revisited, and that is possible with very interesting new forms of distribution happening through the internet of things. I expect a lot to happen in the agricultural sector in the near future!